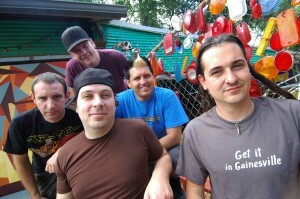 Less Than Jake will be headlining at the House of Blues in New Orleans on 12.10.09. This will be an all ages show. Doors open at 4:30. Tickets are $20 and $15.50. The concert is in support of their most recent release GNV Fla. An added bonus will be the a pre-show screening of Van’s Warped Tour 15th Anniversary Celebration which is scheduled for release on DVD and CD in march. Also performing will be Cage and The Swellers. For more info call 504.310.4999 or click here. Swedish metallers In Flames will embark on a U.S. headlining tour in September. Support on the trek will come from Between the Buried and Me, 3 Inches of Blood, and The Faceless. They will be playing the Hose of Blues on Sept 27th.